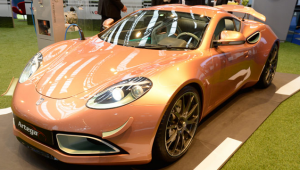 The Artega sports series has come up with a fully electric car– the Artega Scalo. They are also putting an electric quad bike into the works. Read more. 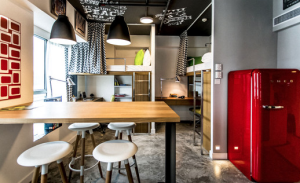 LYCS Architecture has developed affordable living space for students in the heart of Hong Kong, a city known for its high density. The project Campus will put four students in a studio space, arranging their beds and desks in a comfortable way. Learn more. 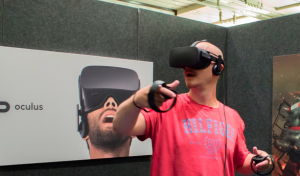 Oculus, a big name in the virtual reality world, is hosting their annual developer conference, at which they spoke about the Oculus Rift, along with the Oculus Touch controller. Learn more. 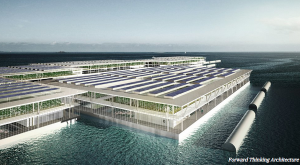 A Barcelona-based company, Forward Thinking, has envisioned a possible solution to hunger: Smart Floating Farms, a triple-decker ship which would harvest fish and host a hydroponic farm while solar panels power the ship’s operations. Learn more. Treebox has developed a new kind of vertical garden: one that takes care of itself, meaning it requires no extra energy to maintain! 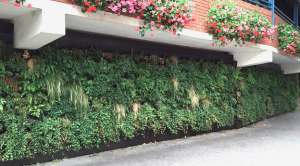 Rainwater is collected in storage tanks and then distributed among the plants in a controlled fashion. Full tanks can sustain the plants for 6 weeks without replenishment. Learn more.